Get ready for multiple double taps! 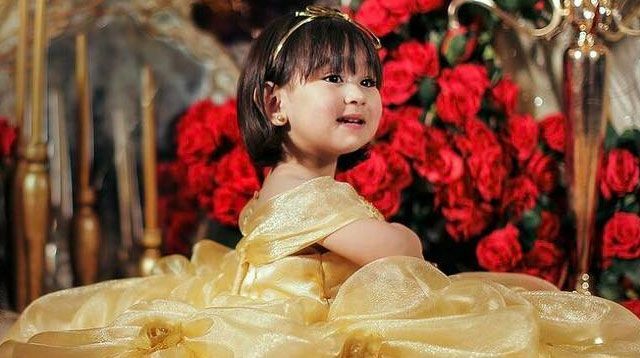 Famous parents: Dr. Vicki Belo and Hayden Kho Jr.
Why we give her the double tap: With almost a million followers and a verified account at only 2 years old, Scarlet Snow takes "Instagram-famous" to a whole new level. P.S. You will also fall in love with how smart she is. Why we give her the double tap: Baby O also has a verified account at 2 (!!!) and has the most lust-worthy wardrobe any kid (or grownup) could ask for. Browse and be entertained by the many funny faces she makes! Why we give him the double tap: A thrill-seeker at only 3 years old, Zion's many adventures around the world (with his parents, of course!) are legit travel goals. Why we give her the double tap: At almost a year old, Feather has been a staple at the ~coolest~ kiddie parties (Scarlet Snow's included)! Her verified account regularly showcases her milestones, like family vacays and eating solids for the first time!